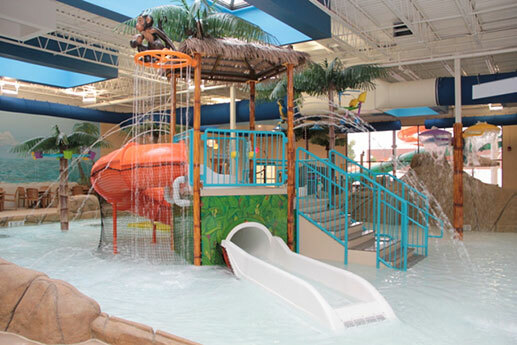 smartDESIGN designed a new indoor water park at the Clarion Hotel in Batavia, NY. 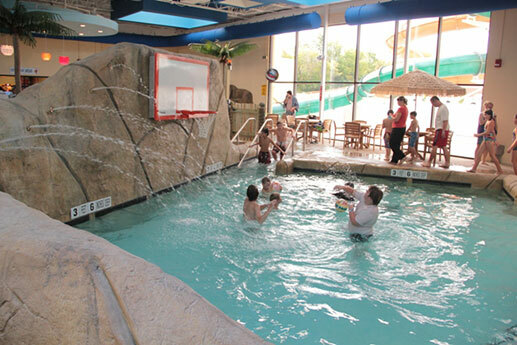 The project included demolition of an existing interior pool and exercise facility and an addition for an expanded pool area, changing rooms, and slide tower. The slide tower of the year-round facility has a significant amount of glass to provide natural light and views outside in every season. 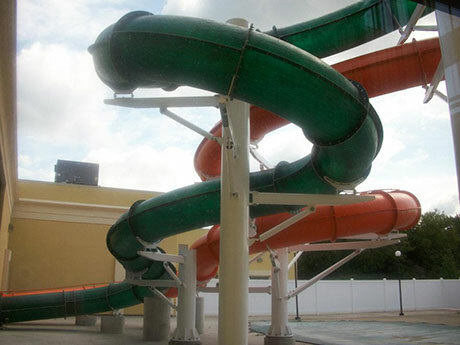 Two large slides exit the tower, twist and turn outside of the building above the outdoor pool, and enter into the new, large indoor pool area.